It is one thing to have a manufacturer share impressive information about test results and safety evaluations and other technical and important sounding jargon. However, it is quite another thing to hear the words of excited, happy and satisfied product users as they share their success with you. Realistically, you don't want to become an expert on the product, you just want to know that it works and it is safe for your family. 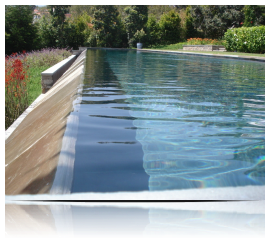 That is why our past and current customer experiences are one of the most powerful tools that we offer to you as a means of proving ourselves and our liquid pool covers. Listening to real people sharing real stories is guaranteed to convince even the most skeptical of you. 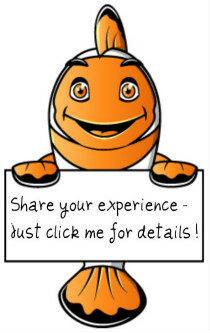 You don't have to take our word for it, just see what others have to say! 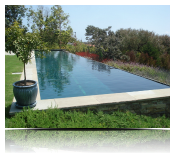 The pool is 1200 sq ft and is heated to 80 degrees F year round in southern California. January through March 2008 we burned through 3,685 therms (3,568 cu ft) at $1.49 / therm according to the gas bill. From the same period in 2009, using Heatsavr, we burned through 2,929 therms (2,838 cu ft) at $1.01 / therm. From January - March 2009 the pool consumed 756 therms less which is a 20.5% savings in volume of gas on a pool with an Infinity Edge. 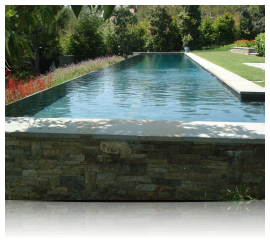 Click the link to the right to read the whole story and find out more ways this pool was able to cut their energy costs! I have been using Heatsavr on the hotel's 780 sq ft pool and spa now since May of 2008 and I can say without any hesitation that your product [Heatsavr] is saving at least 20 Therms a day and I would say as much as 35 Therms a day during these winter months. Curious how THERMS saved translates into DOLLARS? Click the link below to read the full story. This is a letter of recommendation for Heat Saver, the liquid pool blanket system, I purchased from Jasper's in November 2002, for the San Cervantes Apartment Community. During the 2002 Winter season, Heat Saver was used on our 102,000 gallon beach lagoon pool. We saved a significant amount on our gas heating costs, compared to the previous year. See how Mr. Ross won an award for saving energy by clicking the link below. We manually add the heatsavr at night when the pool closes and have seen a significant difference in the amount of chemical usage that needs to be added. We have checked our billing for natural gas it was far less but we had problems with our heater so this year will be the test, a new heater was installed, so with the heater and the heatsavr there should be tremendous savings. If we added the automatic metering system I believe the saving would also gain. This school saved more than just energy. Keep reading by clicking the link below. With the costs of energy on the rise, and a global awareness in environmental stewardship, the City of Thunder Bay saves approximately 40% in natural gas consumption and reduces annual greenhouse gas emissions by 56 tonnes. Click the link below to read the full results of this impressive study. The wind is quite forceful around here so having the Heatsavr in the pool prevented heat loss from occurring thus lowering my gas heating bills, even with all the rain New York experience in June. We have 3 indoor pools kept at 88 degrees year round. We have been using Heatsavr now for a few years and love the fact that when our pools are not covered with our solar blanket, our Heatsavr Liquid Solar cover is in the water helping us keep our natural gas and water bill down. If you would like to see your name on the big screen--or computer monitor, that is--then send me your story. Share with the rest of the world how Heatsavr™ has helped your facility save time, money, energy and / or water and you could see your feature testimonial right here! It's easy, why don't you get started NOW! Retain Heat in ALL Pools! Save Water In EVERY Pool!